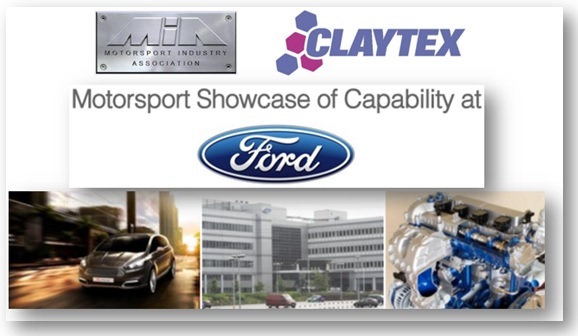 Claytex will be exhibiting at the Motorsport Showcase of Capability event at Ford Dunton, organised by the MIA (Motorsport Industry Association). Dunton Technical Centre is the headquarters of Ford’s Research & Development, annually investing over £400 million. R&D at Dunton leads on engine transmission and complete commercial vehicle development for all future European products. The site is also home to Ford Motorsport and Team RS, part of their Special Vehicle section. On our stand, we will be showcasing our Systems Engineering Solutions, Dymola and Reqtify. 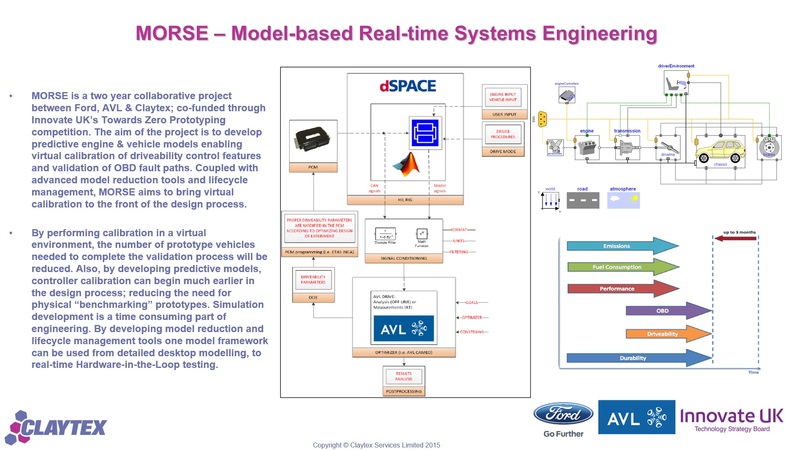 Since our current collaborative project with Ford & AVL has been progressing very well, during this coming event, we look forward to meeting with the engineers from different departments at Ford Dunton and particularly members of the Ford Motorsport and Team RS to showcase our capabilities.